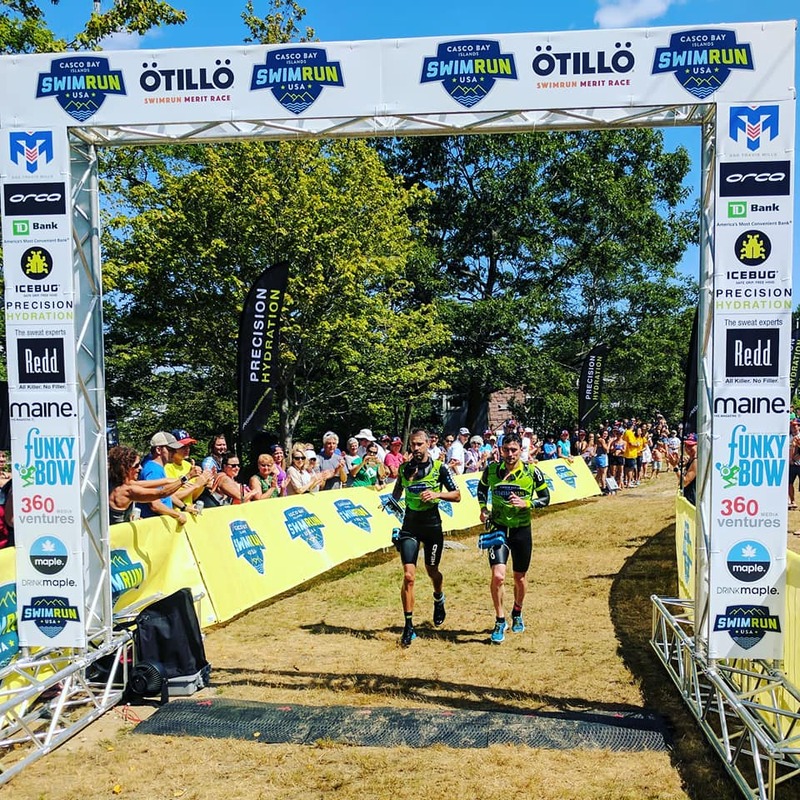 Inspired by the international swimrun race series OTILLO (island to island), originating in Sweden in 2006, SwimRun USA is pleased to bring this epic event to the Pacific Northwest. Situated on Orcas Island, the largest of the San Juan Islands, this adventure will be an instant hit with those looking for their next big challenge. Endless trails, panoramic views and crystal clear lakes serving swim crossings, this course will test each and every team to its core. Remaining true to the originators of the ÖTILLÖ, San Juan Islands SwimRun is a two-person team event. (Limited slots are available for a special, solo athlete category.) Not a relay, teammates must race the entire course together. Rules permit swim aids such as hand paddles, pull buoys, wetsuits and even swim fins to name a few. Certain safety gear is mandated by race rules and hydration and race fuel can be carried too, but what one starts with, so too must they finish with. Changing from trail shoes to swim fins, or tending to awkward gear can chew up valuable time. Having the right teammate and equipment can make all the difference. The Long Course will feature 18 miles of trail running and 2.5 miles of swimming broken up over 25 different sections, 13 runs, and 12 swims. The race starts at Camp Moran with a dash and splash across Cascade Lake before taking athletes on trails over to Rosario Marina. Are you ready to climb? You will do the majority of your running on trails, broken up by pristine lake swim crossings, through Moran State Park and up to the summit of Mount Constitution, the tallest peak in the San Juans. Your effort will be rewarded with breathtaking views of the San Juans, of the mainland and of Canada! The next few miles are downhill, with swim crossings of the Twin Lakes, before another climb starts up to Mount Pickett. Your return route will take you past Mountain and Cascade Lakes before finishing at Camp Moran. The Short Course and Solo will be 8+ miles of running and 1.5+ miles of swimming broken up over 13 different sections, 7 runs, and 6 swims. This course will likely take faster teams at least 2-2.5 hours to complete. Be prepared for a challenge! To register for this event click on this link.